First and foremost, a successful serialization program involves far more than just placing serial numbers on packaging -- regardless of the market. 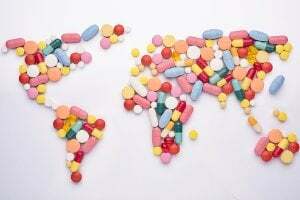 However, pharmaceutical companies that distribute in more than one country face significant regulatory compliance complexity, with each additional market adding another layer of challenges. Regulations differ between markets, and can change often enough meaning regulatory professionals must be prepared to adjust processes, procedures and filings to keep up. Since pharma serialization and tracing regulations are new this means they are subject to greater global diversity and change more frequently than other regulations. For example, twice in the last five years, ANVISA, the pharma regulatory agency in Brazil published, piloted and suspended a serialization and tracing regulation. An almost identical sequence has occurred in China. Regulations in the Russian Federation are even more complex with multiple competing agencies producing overlapping pharma serialization and tracing requirements over the last two years without properly assessing the results. Other regulatory changes are more subtle. Since the Drug Supply Chain Security Act (DSCSA) was enacted in the US in 2013, individual companies, their industry associations and GS1 US have interpreted the human readable requirements to allow the use of GS1's barcode Human Readable Interpretation (HRI) specification. In September 2018, however, the FDA issued product identifier draft guidance in the form of a Q&A document that indicates that GS1's pure HRI approach is likely unacceptable. Companies who have adopted the HRI approach must now reconsider. Unless they are paying very close attention, companies may miss these changes in smaller markets. A vigilant regulatory surveillance program will always be necessary within multi-market drug manufacturers, but making use of a serialization and tracing solution provider that has their own surveillance program can ease the burden. Our global regulatory surveillance program leverages our global field staff and our extensive worldwide partner network to stay up to date on compliance and regulatory updates. We are also a member of GS1 Healthcare where regulatory information is shared among global manufacturers, regulators and solution providers. The main thrust of our program is to ensure our full-stack serialization and tracing products can be used by our customers to comply with all of these regulations around the world. Our solutions are built on a flexible, configurable architecture, which means that most regulatory changes can be accommodated with simple configuration changes, without the need for any bespoke software. We monitor for new regulations and changes to existing regulations, and when product changes are necessary to meet the new requirement(s), we make sure the changes are available in time. This includes our line level, site level and enterprise level serialization and tracing products. Pharmaceutical companies don't have the luxury of time in 2018 -- they must comply or face real consequences. Having the most up-to-date regulations incorporated in configurable, and not custom, packaged serialization solutions is the best way to get there.